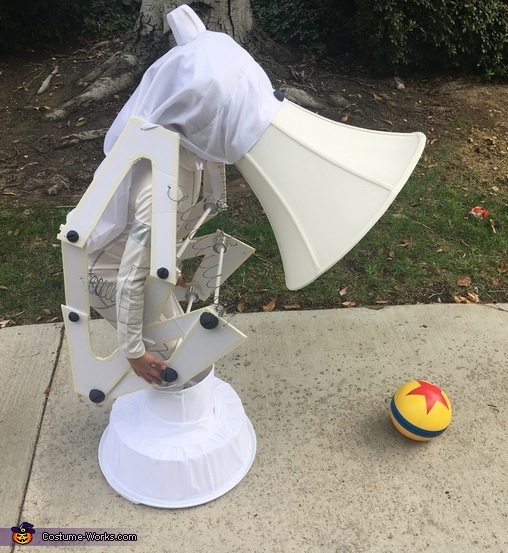 Pixar Luxo Jr. Lamp! This costume start when someone gave us the ball. It gave us the fun idea of the lamp. We used a lamp shade, foam board, & some household items from the dollar store.